The process has to change before the name can be changed. For years, Third Ward residents have had to roll with the changes in their community, often having to live with decisions made in the corridors of power at City Hall. That’s how East Broadway, the main road running through one of Houston’s historical African-American neighborhoods, became Dowling Street, named in honor of a Confederate war hero. That’s how Dowling’s name ended up on street signs along the east side of Emancipation Park, so named because it was the place recently-freed blacks celebrated the end of slavery. Times have changed, however, and now community leaders and local officials are poised to change Dowling Street into Emancipation Avenue – even though doing so will require changing the rules at City Hall. Community efforts to gather enough support from property owners on Dowling have come up short of meeting the city’s requirements for a resident-initiated name-change. That has caused State Rep. Garnet Coleman, who represents the area, to urge the city to revise its standards for how to change street names. “Rightly so, because the process is impossible,” Coleman said, defending the decision to revise the rules during the process. 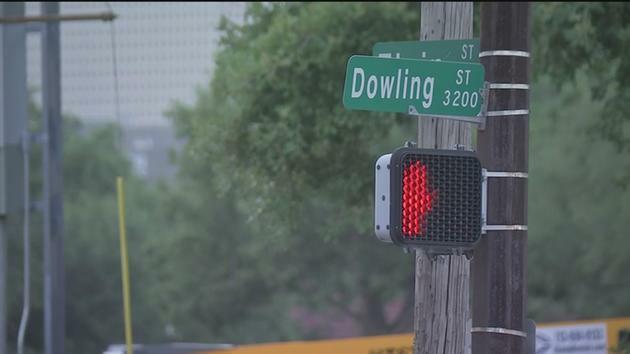 Houston planning officials, at the direction of Mayor Sylvester Turner, are proposing amendments to the rules to allow for city-initiated street name changes, starting with Dowling. That would mean that rather than requiring 75 percent of landowners along the street to support the renaming, the city can consider a name change if “sufficient” evidence of community support exists, after extensive public outreach. City planning officials agree current standards lack the latitude to allow communities to sponsor name changes, especially along thoroughfares like Dowling that are a blend of residential, business and nonprofit property owners. The mixed uses, absentee landlords and inaccurate property records in some cases made gathering signatures from three-fourths of property owners challenging, Coleman said. My position here is the same as it was for the school renaming issue, and that is that having something named after you is a privilege and not a right. There should be a process to allow residents to get a street name changed, one that is achievable but also ensures that everyone gets a chance to weigh in. The current process is too cumbersome, so changing it to be more achievable is fine by me. There doesn’t seem to be any real opposition to changing the process, or to the specific effort to rename Dowling Street, at least as far as this story goes. I suspect the renaming effort will be much less controversial, as people don’t have their identities tied to street names like they do to school names. I may revise this opinion once Council takes up the matter. 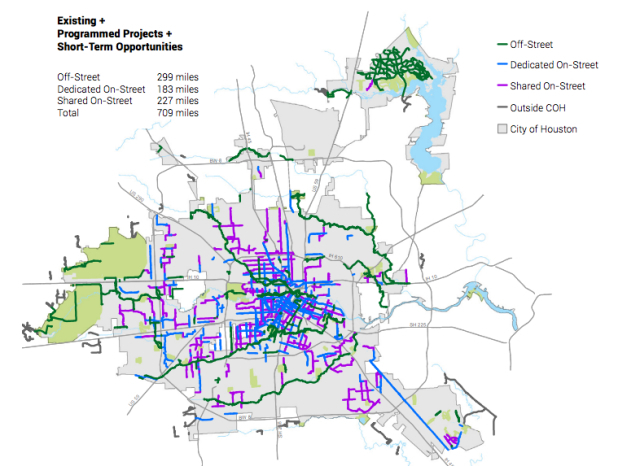 The Houston Bike Plan identifies $300 million to $500 million in improvements aimed at encouraging cycling and bringing more accessibility to every corner of the city via paths, off-street trails and safer lanes where cyclists share the road with drivers. A key goal of the plan is to generate discussion about how to proceed as interest in cycling increases in Houston, officials said. Bike advocates acknowledged that the plan’s goal – creating a 1,600-mile bike system in Houston over 20 years – would not be cheap, but they said sticker shock should not dampen enthusiasm for the plan’s ideas. “You are always going to have your naysayers because some people in Texas love their cars and don’t think anything should change,” said Regina Garcia, chairwoman of BikeHouston, one of a handful of groups active in developing the plan. A short-term list of projects compiled as part of the bike plan would increase miles of high-quality bike lanes and trails to 709 in the next five years, including 328 miles of on-street, high-comfort lanes. Most of those lanes can be built cheaply by restriping roads and adding signs, at a cost of $24 million to $45 million. Proponents, enthused by the draft report, cheered its release while downplaying its immediate impact. See here for the background. The vision is great. Finding funding is the key, and the more funding that can come from non-city sources, the better. I wish I could predict how this will play out, but I have no idea. Mayor Turner will have a lot of influence over the outcome, but most of the push is going to have to come from everyone who wants to see this happen. If that includes you, show up to the CIP meetings and make sure your Council member knows how you feel. The Press has more. How are those new Chapter 42 regs working? A little too soon to tell. Planning and Development Director Patrick Walsh said the changes were designed to make the city competitive with its suburbs by creating more housing options, holding down prices and spurring redevelopment outside the Loop. Civic club leaders, concerned about waves of tightly packed two- or three-story patio homes invading established neighborhoods, negotiated for the rules to be phased in over two years. The first phase took effect in late May, with tracts larger than an acre and smaller tracts that are not residential and are not adjacent to residential areas becoming available for development under the new density rules. The rules will apply citywide starting next May. The Planning Commission has considered or soon will consider three applications that would not have been possible previously. In east Spring Branch, at Silber and Purswell, Soleil Livin’ Homes plans to build 27 units on a 1.2-acre vacant industrial site. In southwest Houston’s Willowbend neighborhood, a developer seeks to build six lots on half an acre. And at the northwest edge of the Loop in Garden Oaks, homebuilder Miguel Facundo is building 14 units on the half-acre site of a former roofing business at Alba and Judiway. Facundo said he plans to build at least 50 more townhomes in the area. He said he has heard chatter about industrial and commercial sites nearby selling to other developers for more such projects. In pushing for the rule changes last year, representatives of Spring Branch-based David Weekley Homes discussed numerous projects they would be able to build in their area once the higher density was allowed. Facundo acknowledged that the prices he will offer, while perhaps $100,000 cheaper than the homes built under the old rules, will be aimed far above middle-income buyers, in the high $500,000s. Examples from Weekley representatives’ rarely listed price points below $300,000. See here for the last update. It’s good that projects like these are being built, though there’s clearly still some work to be done on affordability. Another recent story adds to the anecdotal evidence with the news that over the last 12 months, residential permits within Beltway 8 were up 22.8 percent over the same period last year, which is more than twice the rate as the rest of the city. Beyond that, who knows? I liked the changes made, and I definitely agree with the idea behind them that it’s important to attract development inside city lines – it matters politically and economically. There’s plenty of empty and underused land that’s begging to be put to better use. I hope these new rules will facilitate that, but we need to carefully watch the effects and be prepared to make further changes if needed. Streets are about more than just cars. Where the rubber will meet the road on this, as it were, is on busy residential streets like Dunlavy in Montrose, where new city planning codes will have an effect. Dunlavy is, at least in theory, a four-lane street between Allen Parkway and U.S. 59. Some drivers question whether the outside lanes really count. Uneven gutters, often filled with debris or small mounds of dirt deposited by passing cars and trucks, line the traffic lanes. Cyclists willing to brave the road dodge potholes and passing cars. Trucks, and most cars, tend to stay in the inside lanes. “It is not effectively working as a four-lane roadway,” said Amar Mohite, who manages the transportation group in Houston’s planning department. So in a departure from what many consider the Houston model, the city is calling for reducing the space for cars and trucks. Plans for Dunlavy, along with a handful of other street segments between River Oaks, downtown and U.S. 59 and along the Washington Avenue corridor, will decrease driving room in favor of retaining trees and making parking, bicycling and walking easier. The proposals, part of a list of amendments to the city’s transportation plan, guide future construction and give developers an idea of what to expect. The changes would appear in the 2014 major thoroughfare and freeway plan. What’s significant, officials said, is the decision to reduce driving lanes in some spots. The traditional Houston method of improving a four-lane road – turning it into a five- or six-lane road – is falling out of favor in many neighborhoods, with residents reluctant to lose more private land to roads. Residents along Dunlavy, and generally around Neartown, told planners they wanted their streets maintained to allow for biking and walking, rather than widened to accommodate more traffic. “What we said was, make it a neighborhood where you could ride your bike or take a walk,” said Greg LeGrande, president of the Neartown Association, a coalition of civic groups. Here’s a map, for those of you not familiar with the area. Let’s be very clear about something: Dunlavy is not a thoroughfare. It’s a residential street, with stop signs, houses, cars pulling into and out of driveways, bikes, and pedestrians. Other than a brief stretch just north of West Gray by the post office where it is striped for two lanes on each side, it really is just a little one-lane-each-way road, meant for neighborhood traffic at neighborhood speeds. What distinguishes it from the other little north-south roads between Shepherd and Montrose that cross over US 59 is 1) it goes all the way to Allen Parkway, which gives it easy access to downtown and Upper Kirby, and 2) it has no speed humps. Those things help attract traffic to it, and people treat it like it’s meant for that kind of traffic. My friend Andrea, who used to live on Dunlavy near Gray, would complain bitterly about the drivers that zipped past her house at 40 MPH plus. That’s not what that street is for. So I’ll be very interested to see what the city proposes to do. I predict there will be lots of whining, mostly from people who don’t live on or near Dunlavy. The city’s planning department will host an open house in late June to explain the amendments, and City Council is expected to consider the changes in September. One thing I’m not sure about is how they propose to make Dunlavy more bike-friendly while reducing the lane widths yet maintaining street parking. As I think about it, it should be doable – Dunlavy really is four full lanes wide, even if it’s almost never used as a four-lane road; there’s plenty of space between moving vehicles and parked cars – I’m just not sure how to visualize it. I look forward to seeing the proposal. Sorry for the late notice about this. Every year Houston combs its plan for future road building and improvements and makes changes. Generally, it’s relatively minor stuff that reflects putting on paper something that is going to happen anyway. The designation would allow planners and developers to identify the street as a major transit route. It’s the same designation that the city gave Main Street, Fulton Street and other roads where Metro is building light rail lines. The University Line designations would follow the planned path of the east-west line, from I-45 near the University of Houston main campus along Alabama Street, Richmond Avenue and Westpark Drive. The designation helps Metro plan for that as a the likely rail route, and conforms to the city’s transit ordinance that spelled out the path. This is happening at the Planning Commission’s meeting today, 2:30 PM at Council chambers. See RichmondRail.org and Houston Tomorrow for more. There’s also a petition you can sign if you want to add your voice but can’t make the meeting. This does nothing about funding for the University Line, but it’s a necessary step forward. Let’s make it happen. The Leader News updates us on the latest news regarding the proposed development on Yale at 7th. Houston’s Planning Commission has approved Trammell Crow Residential’s replat application without variance for the site of its 360-unit Alexan Heights mid-rise luxury apartment at Yale and 6th streets, West Heights Coalition’s website reports. The replat for the 3.5-acre site included properties previously restricted to single family use but recently revised with deed restrictions amendments. The deed restrictions involved single-family home initially within the block-filling complex’s proposed footprint — properties that the owners did not want to sell and that TCR was able to design around. TCR’s earlier request for construction with a variance failed before the Houston Planning Commission. A half-dozen or so area residents spoke against the replat request at the May 23 hearing — and others had written and called relevant offices and attended numerous planning commission meetings, WHC sources said. See here and here for the background, and here for the WHC’s statement. I think people are going to have to come to terms with projects like this and Elan Heights and whatever the next foofily-named high-end apartment project that will replace some existing piece of old Heights development is. People want to live in the Heights, but the houses are scarce and ridiculously expensive. A high-end condo or apartment isn’t a bad alternative for a lot of folks, given that reality. For all of the gentrification that has occurred in the last decade or so, there’s still a lot of low-end properties and vacant lots dotting the map. Trammell Crow, to their credit, is offering to address some of the items on the neighborhood wish list, in particular a pedestrian-activated crossing signal where the bike path traverses Yale, as part of their offer to the city for this space. I think overall we’re going to be better off engaging developers on that sort of thing rather than going full metal Ashby Highrise and hoping for a different outcome. I’m just saying. We won’t know for years what the upcoming revisions to Chapter 42, the development and density codes in Houston, will mean to the city and its development and population patterns. There’s certainly a lot of hope that the changes will be positive. Southwest Houston, with its glut of apartments and condominiums, is three times denser than the city as a whole. Whatever the term – aging, blighted, dilapidated – many of those complexes are ripe for redevelopment, as are the empty shopping centers and abandoned warehouses around them. Often havens for crime, these eyesores depress property values and are themselves a drag on the tax rolls. Some revitalization efforts are underway, but residents like Jim Bigham, president of the Sharpstown Civic Association, are looking for a spark, a catalyst for change. With a proposed rewrite of Houston’s development ordinance headed to the City Council table on Wednesday, city leaders say they have one. The new rules, six years in the making, would allow greater single-family housing density outside Loop 610. That, builders say, will enable them to fit more houses on the same piece of land, bringing down the price of each home and making it more likely that market-price housing can be placed on dormant tracts. By their own admission, however, homebuilders will struggle to develop many of the tracts targeted for renewal because they do not have the capital or because they risk being outbid by apartment developers. Experts say land developers, who buy large tracts, invest in infrastructure and then sell individual lots to homebuilders, will play an important role if revitalization is to be widespread. That’s the plan, anyway. How well it will work, I have no idea. The theory is simple enough – when you’ve got a lot of demand for something, you should try to increase the supply of that something – it’s the ancillary effects that are the big unknowns. Check back in ten years and we’ll see where we are. One way to know if the revision has been a success is if this trend slows down. More than 80 percent of the homes that sold last year were outside of Beltway 8, according to a study commissioned by the Houston Chronicle. Compare that to just 6 percent inside Loop 610 and 12.8 percent between the Loop and the Beltway. What draws people to these far-off suburbs, sometimes 30 miles from downtown? Homeowners cite a multitude of reasons, like schools, shopping and affordable housing. Another big draw is jobs. Houston’s outlying areas are home to major business districts. “You keep seeing oil companies and major employers locating outside of downtown. They locate along the West Belt. They’re moving up to The Woodlands,” said Evert Crawford of Crawford Realty Advisors and the Institute for Regional Forecasting at the University of Houston’s C.T. Bauer College of Business. “A lot of people don’t work downtown anymore,” said Crawford, who conducted the study. The median price per square foot for a home outside the Beltway was $72.98 last year, according to the housing data. That was up 3.7 percent from 2011, but still less than half of the Inner Loop value of $178.09 per square foot. That’s an insufficient comparison, since the Chapter 42 revision is aimed at property between 610 and the Beltway, but you get the idea. We’d like to see a higher percentage of homes purchased inside the Beltway in order to say that the Chapter 42 remake is doing what we wanted it to do. Now, single-family houses aren’t the be-all and end-all – there’s a ton of high-end apartment construction inside the Loop, and smaller apartments, the antithesis to sprawling suburban mansions, are a trend as well. A fuller range of metrics will be needed to really get an answer to the question of how successful the Chapter 42 changes were. But since we’ve been talking so much about how the goal is to make it easier to build affordable housing in Houston, then let’s look first at those numbers. You might want to put this on your calendar. The area defined as the Heights-Northside study area bounded on the east by US 59, on the south by IH 10, and on the north and west by IH 610. The purpose of this study is to identify near and long range projects that promote better mobility, and to consider and develop a multi-modal classification for streets within the study area which are inclusive of pedestrian, bicycle, transit, vehicular and other modes of transportation. The Heights-Northside Mobility study will build upon the lessons learned from other sub-regional mobility studies and findings from prior studies. This study will also explore efficient and context sensitive mobility solutions for all users of the transportation system. It will evaluate the overall system network to make it efficient to address the current and future needs within the study area. Given the limitation of the current conventional street classification system, the City Mobility Planning (CMP Phase 1) process recommended a multi-modal street classification system to utilize within the COH. During the course of this task, the Consultant will work with City staff to integrate the new planning process and the mobility toolbox, developed as a result of CMP Phase I, into the City’s transportation planning process. Marty Hajovsky explains what this means. The Greater Heights Super Neighborhood Council is actively involved in this process, and is encouraging anyone interested to attend the meeting. And while the I-45 North Corridor project, being under the aegis of the Texas Department of Transportation, is not a city effort, the two areas do overlap. One thing the city does not intend to do is simply ignore previous work. […] What that means is that as far as the city is concerned, at this point all mobility options are on the table. That’s what makes this meeting crucial because as the I-45 North planning process has shown, urban planners and consultants come and go, but the views of residents, those who will be affected by these decisions for years to come, carry significant weight. Though of course, the opinions of those who don’t speak up carry none. According to KUHF, there will be a second meeting on Wednesday the 27th, at the Candlelight Community Center, 1520 Candlelight Lane. Please RSVP if you plan to attend one or both of these meetings, and please do try to be there for at least one of them. Sprawling, boomtown Houston may be in for another battle over land use and development, this time driven by the most significant changes proposed to the city’s building rules in 13 years. City planners and developers say greater single-family density – allowing more homes to be built on a single acre – will spur redevelopment of blighted areas and provide more affordable housing in the city because builders will be able to fit more buyers on each piece of land, lowering the price they have to charge for each house or townhome. They stress the changes would not encourage more apartment towers. Many residents are wary. Some say the push for greater density inside the Loop has sacrificed neighborhood aesthetics and created infrastructure problems, compounded by a lack of city enforcement. Others fear how the proposal will affect their neighborhoods. Change can be scary for residents, Planning Department Director Marlene Gafrick acknowledged, but said redevelopment is better than decline. On the one hand, this update should allow more dense development throughout the city of Houston, which in turn should make new development in Houston more affordable, and thus make living within the city more competitive with living out in the burbs. This is a good and necessary goal, and though I have expressed concerns about this in the past, I support it, as I have come to the view that the city needs to do what it can to encourage people to live inside its boundaries. Making housing more affordable is a good step in that direction. But the concerns I had before still remain, in that the city’s infrastructure will be greatly taxed by an influx of denser development. Rebuild Houston will deal with some of this, Parks By You will deal with some of this, and the rail lines that are currently under construction and whatever expansion of the bus system we get will deal with some more of it, but it’s not enough. We’ll need a lot more transit – all the rail we voted for in 2003 and then some, and a much bigger emphasis on sidewalks, walkability, and bicycle access. I feel like we’re moving in the right direction, but I worry about how long it will take us to get where we need to be. That’s not this project‘s name, but it’s how I think of it. Canadian developers of a condominium project on a wooded 1.4-acre plot near the Heights Bike Trail and White Oak Bayou late have dropped their request for a variance to develop the site – thereby allowing the city of Houston far less control over their revised plans. 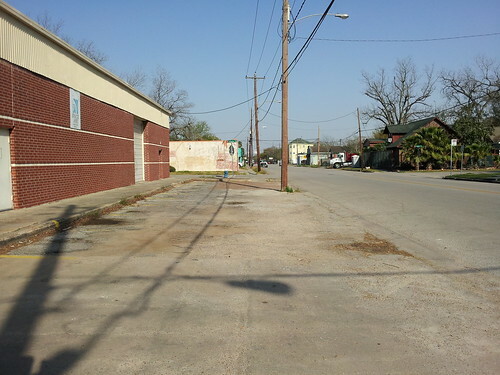 Suzy Hartgrove, spokeswoman for Houston’s planning & development department, confirmed to The Leader that The Viewpoint at The Heights, L.P., altered its plans for “Emes Place” and will now construct a public street over a bridge and install a cul de sac. Earlier plans had called for a private street that would have required a variance and allowed the Planning & Zoning Commission some latitude in approving the project. Now, said Hartgrove, if the plans meet minimum standards of Chapter 42 of the city’s Code of Ordinances, the commission will have no choice legally but to approve it. While the initial plans for the property, which borders the hike-and-bike trail and Fifth Street, were for 84 condo units, Hartgrove said the new plans have not specified the density. City staff was reviewing the new plans to make a recommendation to the Planning Commission, and Hartgrove said she expected it to be on the agenda on Thursday of this week. See here for the background. I have heard that folks in the neighborhood are pushing for the Planning Department to defer this decision for a month to investigate the developer’s claims about meeting Chapter 42 standards. I think that’s a fine idea, because there’s no other mechanism to put a check on this unloved project if one is needed. Surely it’s part of the process for the city to verify claims about meeting code standards, right? It’s on you now, Planning Department. On a tangential note, in the event this thing does eventually get built, I have to wonder about the type of person who would want to buy a unit in it. As with the Ashby Highrise, any cursory research on a buyer’s part would make them realize that the vast majority of their new neighbors-to-be despise the building they’re about to move into, and probably will not have very warm feelings towards them as well, at least at first. Maybe it’s just me, but I would feel like that’s a significant negative, more than enough to make me consider other options. These are nice neighborhoods, but they’re not the only nice neighborhoods, and if you can afford a condo in either of these developments, you definitely have other possibilities available to you. What do you think? Inner Loop has now revised their plans in order to comply with Chapter 42 of the City’s Code of Ordinances, which governs this type of development. PD has determined that their application now meets the minimum requirements for Planning Commission approval, and the Commission is required by law to approve a subdivision plat application that meets these minimum requirements. This item will be considered by the Commission for a final vote this afternoon and, due to deadlines established by state law, cannot be deferred until a later date. However, the subdivision plat is only the first step in the development process and any development moving forward must still meet all applicable City requirements. For instance, plans for the street build-out must meet the Public Works and Engineering (PWE) Department’s Infrastructure and Design Manual criteria. No plans for the street have yet been submitted, and when they are, PWE will evaluate to determine if the criteria are met (it is not in the Planning Commission’s purview to determine whether those standards are met.) This will give the City another opportunity to examine whether the developer meets the necessary requirements. Additionally, the indication on the submitted plat of “future right of way” is being removed. No such right of way has been dedicated, and the City has no intention of buying or condemning any right of way for a private project. Here’s the next frontier in unwanted development. A residential development proposal that’s been on and off in the Heights since 2004 is back on, reviving neighborhood opposition to the project and catching the attention of the mayor. Canadian developer Group LSR is requesting a multi-part variance that, if approved, would allow it to move forward on a building with as many as 84 units along the hike and bike trail. 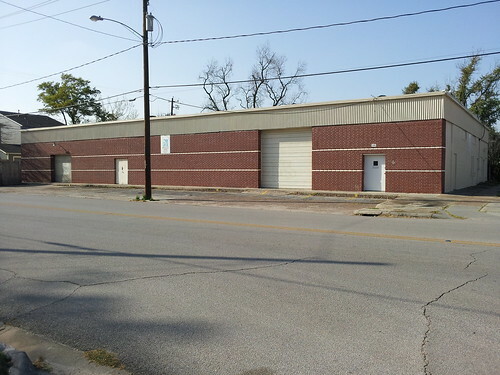 The site is at the east end of E. 5th Street, which dead ends just after it intersects with Oxford. On Thursday, the planning commission, which votes on such issues, is expected to delay taking action on the variance for two weeks so it can have more time to consider the details. When the developer first bought the land for the project in 2004, neighbors launched a grass-roots campaign hoping to stop the project. They said it would cause traffic, flooding and safety problems as well as threaten the urban bird and wildlife habitat. They set up a website and signed petitions. This time around, the neighborhood has been working quickly to fight back, placing protest signs in their yards and making calls to City Hall. The Heights Life has the details on the current fight against this development, which I have written about before. The photos in that first post have been archived; sorry about that. The main difference between this and Ashby is that this development can’t happen without variances, which Mayor Parker doesn’t seem inclined to support. One of the variances involves building a bridge from where 5th Street dead-ends at Oxford to where the condos would be. The full Chron story has a few more details. 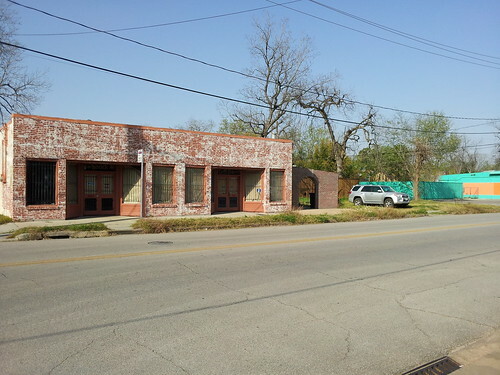 One of the reasons for the request is that the developer owns only 35 feet of frontage along East 5th. Typically, 60 feet of frontage is required, though variances have been granted with far less than even 35 feet of space, according to the city’s Planning & Development Department. The developer has considered other options, like accessing its site through Frasier Street, which connects to White Oak. But the city had concerns over that plan. “We think the conditions of Frasier have changed,” said Suzy Hartgrove, planning department spokeswoman. Hartgrove was referring to the explosive growth in new bars and restaurants that has occurred along White Oak. Traffic there and along intersecting residential streets already has increased considerably, creating tension between homeowners and businesses. Yes, traffic on White Oak was a concern when this project, whose name has apparently changed from Viewpoint In The Heights to Emes Place, was first proposed. Needless to say, with White Oak having since transformed into Washington Avenue North, that concern is even greater now. Frasier Street remains too narrow to handle any consistent traffic load. And then there’s the very popular Heights Bike Trail, which passes right by the proposed bridge location at 5th and Oxford. There’s a lot to be concerned about here. We’ll see what the planning commission has to say, but until then send some email and let your voice be heard. Other than the updated highrise ordinance, Council has not yet taken up the proposed revisions to the city’s planning code, also known as Chapter 42. That will be on the agenda soon, and the Chron has an overview of where things now stand. Now, officials want to extend that urban area and its accompanying density cap – allowing a maximum of 27 housing units per acre – from Loop 610 to Beltway 8. The change would come with a series of updates to the existing development code, including community safeguards to make it easier for residents to protect the character of their neighborhoods even as the ordinance would allow developers to subdivide lots for more construction, officials said. Officials say developers are waiting to build properties that would meet demand for more housing at varying price levels but have hesitated without any density rules in place outside the Loop. Population in the Houston area has grown 7.5 percent during the last decade, to nearly 6 million. Homes near the urban core, however, have not provided the flexibility in size and price that many new residents want, said Suzy Hartgrove, a spokeswoman for the city’s Department of Planning and Development. Instead, transplants lured to the area by jobs are moving to more affordable areas in Houston suburbs, she said. “The thought was that you’re recognizing that as the city grows and densifies you’re just trying to provide an opportunity for more of a variety of housing stock,” Planning Director Marlene Gafrick said. I’m glad someone is thinking about the issue of where people are moving and how housing prices affects that. I’m sure these Chapter 42 revisions will have some positive effect on that, but it’s not clear how much. Matthew Yglesias has often written that this is basically a supply and demand problem, and the solution to creating more affordable housing in the urban core of any large urban area is to alter or remove regulations that prevent more housing from being built. As he lives in Washington, DC, his main target is a local ordinance that forbids most construction of anything higher than six stories. Here in Houston, we’ve just added some restrictions on where highrises can be built, but its effect will likely be felt only on the margins. We actually have quite a few highrises and midrises being built or being proposed right now, though ironically they all tend to be of the high-end, luxury variety. They’re mostly being built in expensive neighborhoods, so that is to be expected. What we don’t have is a strategy for enticing development in places where the land is cheap and the population has been declining, like the Fifth Ward. I don’t have any advice for how to do that – it’s hardly an easy problem – but I would like to see more thinking about it. Lisa Gray writes approvingly of a forthcoming urban development in Sugar Land. A far bigger project in the works is the Imperial, a 715-acre development that includes the site of the defunct Imperial Sugar refinery – the factory that built Sugar Land, the old industrial center of what was once a company town. The walkable, bike-friendly development will include a baseball stadium for the minor-league Skeeters; housing (single-family, multifamily and assisted living); restaurants and bars; and an office park. It’ll give spread-out Sugar Land something that feels like the tight-packed middle of town, the place where things happen – something that the area seems hungry for. Even without any residential development at all on the site, the brand-new Saturday farmers market already attracts around 5,000 shoppers from the surrounding neighborhoods. In the last decade, high-density town-center developments like that have sprouted all over Houston’s suburbs, creating some lively places: among them, Woodlands Town Center, Pearland Town Center and, of course, Sugar Land Town Square. The thing that makes Imperial different is that it isn’t being created entirely from scratch on a bulldozed site. Unlike those other brand-new town centers, it’ll have some history to it. That sounds great, and some day when I go to a Skeeters game I will be sure to walk around and check it out. I find myself amused by the trend Gray notes of dense urban development being in far-flung suburbia, all of which are places that had been built originally so people could escape the urban environment. Not such a bad thing after all, apparently. Here in Houston as you know we are undergoing a review of Chapter 42, our land development ordinance, to update the codes that allow and restrict dense development in the city. Nancy Sarnoff has an update on that. The city of Houston is revisiting changes to its development code that were proposed three years ago but never adopted. The revisions include expanding the city’s “urban area” to Beltway 8 and requiring additional parking in high-density, single-family developments. If the changes are approved, developments common in Houston’s inner city, such as compact clusters of townhomes, would be allowed outside the loop, too. Certain neighborhoods, however, would have tools to protect their traditional character. Click here for the proposed ordinance and a summary of the changes. City Council will have a public hearing about this new set of changes on Wednesday, December 7, at 9 AM. I don’t feel like I understand what’s going on with this well enough to comment about it. The related parking issues we’ve discussed, but the rest of this is still somewhat formless in my mind. The full Chron story that followed adds another wrinkle to this. “If you can put a few more homes on a lot, you’re able to sometimes keep those price points down where you can provide some affordability,” said Suzy Hartgrove, a spokeswoman for the city’s Planning & Development Department. Mike Dishberger, townhome developer and president of the Greater Houston Builders Association, who served on the city committee that worked on the revisions, said the proposed changes could actually result in less development inside the Loop. That’s because there’s more available land in the suburban areas, he said, and the loosened density restrictions will allow them to build more homes in smaller spaces. “It changes all the economics of it,” he said. This is a corollary of what Matt Yglesias was saying when he noted that you generally don’t have to “encourage” downtown-style office development, you just have to allow it. Of course, there is still a fair amount of space inside the Loop that could be ripe for this kind of development. I don’t know what you have to do to get it to happen there, but I do know we should be thinking about it more than we currently are. A couple of weeks ago I noted that the city is undergoing a review of its 1989 Off Street Parking ordinance. The idea is to recognize some changes in the real estate market, especially having to do with entertainment and retail development in denser areas and the issue of neighborhood streets being used as overflow parking for commercial establishments. On Thursday, the city held a hearing on the proposals and got some feedback it has received before from bar and restaurant owners. “We receive a lot of complaints about bars not having enough parking,” said Suzy Hartgrove, spokeswoman for the Planning and Development Department. I suspect a lot of those complaints come from folks in the vicinity of Washington Avenue. I sympathize with them, because a lot of those side streets are narrow and have drainage ditches, and when you fill them up with parked cars they become very difficult to navigate. It’s just that I think we need to be awfully careful about applying universal solutions in a big, diverse city with lots of different neighborhoods. Flexibility is the key. The Congress for New Urbanism posted a statement about the proposed changes that encourages more such flexibility for bike parking, and greater consideration of parking meters to deal with the neighborhood overflow issue. Why would a neighborhood want parking meters on their street? How about if you ensure that the revenue they generate goes to infrastructure improvements in that neighborhood? Use that money to do things like fill in the drainage ditches, build sidewalks, and bury the utility lines on Washington Avenue. One way or another, someone has to pay for parking. We may as well get something more than just parking for it, and there is such a thing as having too much of it. The Planning Commission will take this up again on December 1, and it will likely go to Council after that. CultureMap has more. Hair Balls last week had a good discussion of a proposal by the city to revamp its 1989 Off Street Parking ordinance. Currently, bars — which are defined as having alcohol make up more than 75 percent of their sales — are required to provide ten off-street parking spaces per every 1,000 square feet of usable floor space. Restaurants are required to provide eight off-street parking spaces per every 1,000 square feet. Drive-thru restaurants, takeout joints and bakeries are also defined as restaurants under the current ordinance, meaning that they are tasked with the burden of providing as much parking as more densely occupied space. The proposed ordinance would increase the number of parking spaces required for bars to 14 spaces per 1,000 square feet, and would also redefine what a “bar” is. Namely, the ordinance would follow TABC guidelines, which state that a business with more than 50 percent of alcohol sales is considered a bar. This could mean that far more establishments would be considered bars under the new rules, and thereby required to provide much more parking. However, the ordinance would only apply to new establishments or existing bars that are adding onto or expanding their space. These changes wouldn’t apply to structures within downtown’s Central Business District, nor would it apply to existing restaurants, whose parking would be grandfathered into the new ordinance. They would, however, make it easier for small businesses like bakeries to find spaces to set up shop, spaces that couldn’t have been used under the old ordinance due to a lack of off-street parking. Another incentive to business owners is the proposed reduction of required parking spaces in historic districts or for businesses located in designated/protected landmark buildings. The new ordinance would allow for a 25 percent reduction in the amount of required off-street parking, meaning that a restaurant would only need to provide seven to eight parking spaces instead of ten. A bar’s required parking in these historic districts would be reduced to ten or 11. Scott Repass, owner of Poison Girl, Antidote and Black Hole Coffee House, was also in attendance at the meeting, although not as pleased with the proposed changes. “I guess my big problem with the changes is that they seem heavily skewed towards encouraging new construction over restoring existing spaces,” he said. Repass, like many small-business owners, was concerned that the proposed changes would favor chains and big-name restaurants and bars over the little guys. And although the changes would make it easier on bakeries or drive-thrus, they would also make it tougher for new restaurants to open — especially small restaurants that would prefer to open, like Zelko Bistro and Ziggy’s, with the intent of being a neighborhood spot to which people would predominantly walk rather than drive. Increasing the difficulty factor would be a requirement of a minimum five-year lease for restaurants or bars which need to lease additional land for parking. “It also seems like raising the parking requirements for bars, restaurants and hair salons while decreasing the requirement for regional shopping centers and drive-thru restaurants is pushing development in the wrong direction if we want our city to be more dense and walkable,” said Repass. I think you have to allow for some flexibility in denser areas. Downtown isn’t the only place that people walk, and parking requirements can add a significant amount to the cost of a new business, as noted in that KUHF link above. Yes, that may cause parking to spill over into residential streets, which may be resented by the locals, but one potential solution for that is to install parking meters. Parking is a valuable commodity and should be seen as such. Another option might be to allow bike parking spaces to substitute for vehicle spaces. Bike Houston notes that bike parking spaces are being required for the first time under this new ordinance, but there’s room to make those requirements better and more flexible. For a discussion about the proposed changes from when they were first publicly discussed last year, see here and here. Alabama Theater, here they come. Trader Joe’s is officially considering the historic Alabama Theatre for its first Houston outpost. The proposal is on the agenda for this week’s meeting of the Houston Archaeological and Historical Commission, which would have to approve changes made to the property. That would be tomorrow. You can see a copy of the proposal at the link above, and some images at Swamplot. It was in early August that the Alabama Theater possibility first came up. I’m delighted to see that there’s still life in the historic old place. We know that the city’s Planning Department is prepping a draft ordinance that would add some restrictions to highrise construction in parts of the city outside designated areas. Here’s the Chron story about it. The proposed ordinance was written in response to the controversy over the project known as the Ashby high-rise, a real estate development planned several years ago near upscale homes around Rice University. “The one thing Ashby did was raise the level of interest from a lot of our neighborhoods. A lot of them have voiced to us they don’t want to see something similar in their neighborhood,” said Suzy Hartgrove, a spokeswoman for the municipal Planning & Development Department. The ordinance would require that developers leave a 50-foot buffer along the sides of buildings adjacent to or within 30 feet of single-family homes or land restricted to single-family development. The buffer would have to include 10 feet of landscaping, trees, and an 8-foot-tall masonry wall. Mechanical equipment or covered parking wouldn’t be allowed in the buffer zone. In addition, taller parts of the building would have to be set back farther than the ground floor. Joshua Sanders, executive director of Houstonians for Responsible Growth, sees the additional setbacks on upper floors as too limiting, but supports the draft’s overall language. 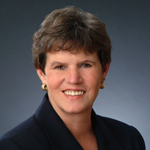 “It does strike a very good balance between neighborhood protection and encouraging high-density development in areas that can handle these types of projects,” said Sanders, who served on Mayor Annise Parker’s transition committee on development when she took office at the beginning of 2010. Just as a reminder, Houstonians for Responsible Growth is a developer-heavy group that “organized in response to a significant number of proposals by the City of Houston proposing stringent land-use controls.” For them to be basically okay with this ordinance says a lot. Note that there is nothing in the ordinance the forbids building a highrise in a residential neighborhood. Even with the new ordinance, you can still build something up to six or seven stories without triggering its regulations. Above that would require some design changes, but doesn’t otherwise say No. Common sense says that highrises belong some places and not others. There’s certainly room to haggle over the details, but there’s nothing in this to get alarmed about. Kevin Kirton of Buckhead declined to discuss the status of the Ashby project because of the ongoing litigation, but said he doesn’t believe the proposed new ordinance would affect it. “We have an approved set of plans and still have an application with the city,” he said. To Kirton, the ordinance looks a lot like zoning, which he said Houston does not need. “I think deed restrictions and the existing land use controls work just fine,” he said. Dude. Your project is Exhibits A through Z of the reasons why our existing land controls don’t work. This new ordinance should be called the Buckhead Memorial Don’t Be Pigheaded About Where You Build Highrises Ordinance. If it weren’t for the litigious duo of Kevin Kirton and Matthew Morgan, we wouldn’t even be having this discussion. You can find the draft ordinance here, and a presentation about it that would be more useful if they explained all their acronyms here. A public hearing will be held by the Planning Commission on July 21 at 2:30 p.m., City Hall Annex. As noted by Swamplot, this would seem to speak directly to the Ashby Highrise situation. As someone who has argued that the problem with the Ashby Highrise is not the potential effect on traffic but with the should-be-obvious-to-everyone fact that it’s just the wrong place for a building like that, I approve of this idea. The devil is in the details: You don’t want to limit density where it makes sense to have density, and from what I can see this does try to take that into account. I look forward to seeing more feedback on this, but my first impression is positive. Christof takes another look at the proposed urban transit corridors ordinance, and asks a simple question. Days after the City of Houston’s draft corridor urban corridors ordinance was released, Houstonians For Responsible Growth – a developer group that generally opposes any new building regulations – endorsed the new ordinance. Why would developers be so enthusiastic about a new piece of regulation? Because they wrote it. Interestingly, just a few months ago, HFRG was warning against this ordinance, claiming it could “force Houstonians out of their cars and onto hot sidewalks”. Guess they were able to change it to be more to their liking – go read Christof’s post for the details of how that happened. Clearly, this is another case of it’s only a negative when it’s for something I don’t like. NeoHouston has more. Let me be clear: if the city adopts the standards as they are written, it will have exactly the opposite of the intended effect. It will be just as easy as it has always been to build suburban, auto-oriented trash near a train station, and it will be HARDER to build an urban building. The city is taking areas where you could ALREADY build right up to the street and telling you that now you CANNOT do that unless you comply with these additional “Voluntary” design parameters. This is a punitive measure against exactly the wrong people! This is EXACTLY BACKWARDS from what their stated goal is! Yeah, that’s not what I was hoping for, either. Read what he has to say as well, and then consider contacting your Council member to let him or her know what you think about this. For that matter, contact your favorite Mayoral candidate and ask him or her what they think about this, since it’ll be on them in six months’ time. We need to move forward on this, and it doesn’t look like that’s what’s happening. I don’t know how big a deal this is likely to be, but it’s nice to be talking about it. More than five years after inaugurating its light rail system, Houston is taking its first, tentative steps to make it safer and more convenient for passengers to walk from train stations to homes, shops and offices. The city’s urban transit corridors ordinance, which it began developing in June 2006, is expected to be considered by the City Council in July. It would offer incentives for developers in six light rail corridors to include a 15-foot “pedestrian realm” with broad, unobstructed sidewalks and other features intended to create appealing, walkable environments. The City of Houston Planning Commission will hold a public hearing on Thursday, June 11 at 2:30 p.m. in City Hall Annex, 900 Bagby to consider two items. 1) The proposed transit corridor ordinance. This ordinance establishes mandatory and optional rules along Houston’s designated light rail corridors. This work is the result of an effort begun in 2006 to enhance pedestrian mobility and achieve transit supportive development. More information, including a summary of the proposed ordinance and the draft ordinance, is available on the Urban Corridor Planning website http://www.houstontx.gov/planning/Urban/urban_cor.html. 2) Amendments to Chapter 42 that address the following topics. 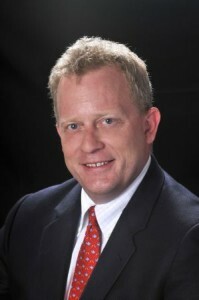 The proposed ordinance can be found on the Planning Department’s website at www.houstonplanning.com. These ordinance amendments will also result in changes to the Building Code and PWE Infrastructure design manual. Following the public hearing, the items will be considered at the Regulation, Development and Neighborhood Protection Committee of City Council on Monday, June 22 at 3:00 p.m., City Council chambers, 901 Bagby, 2nd floor. City Council will hold a public hearing on the proposed ordinance in early July. For more information, contact Michael Schaffer at 713-837-7780 or email Michael.Schaffer@cityofhouston.net. It all sounds good, though my understanding is that this is basically a finished package that is to be brought for a vote, and not something that’s under discussion. It’s still a good idea to attend the meeting, and talk to your Council member about this, because it’s likely to affect your neighborhood, whether you realize it or not. The impact of the ordinance will depend on developers’ willingness to comply with its mostly voluntary standards. Those who agree to create the pedestrian zone will automatically be exempt from rules requiring buildings to be set back a specified distance from the street, giving them more space to build revenue-generating offices, homes or shops. The ordinance is more limited than steps recommended by the city’s consultants and by the Urban Land Institute, a nonprofit real estate organization, to promote transit-oriented development. A Canadian consulting firm that worked with the city recommended more mandatory requirements for developers, including certain building design standards. But the only outright requirement in the new ordinance is 5-foot-wide sidewalks in most of the city — the current standard is 4 feet — and 6-foot-wide sidewalks along streets where transit lines run and intersecting streets close to rail stations. As an incentive for developers to meet other standards, the ordinance allows building facades to be adjacent to the 15-foot pedestrian zone. The city now requires a 25-foot building setback on major thoroughfares, and developers who want to build closer to the street must seek a variance from the city Planning Commission. I’m sure there will be a lot more discussion of this, regardless of what effect that might have at this point, and I’m looking forward to it. Houston Tomorrow, which I’m sure will be one of those that will have plenty more to say on this, has this for now.